Largely set during the ten months of war between East and West Pakistan in 1971, the beauty of this book lies in the mother, Rehana Haque’s, experience of the war through her freedom-fighting children. If this had remained a simple narrative of one woman’s observations of the war, it would have remained rather flat, as Anam’s prose style is simple and unadorned–attractive, but unmemorable. The beauty, therefore, lies in the details of the characterisation. 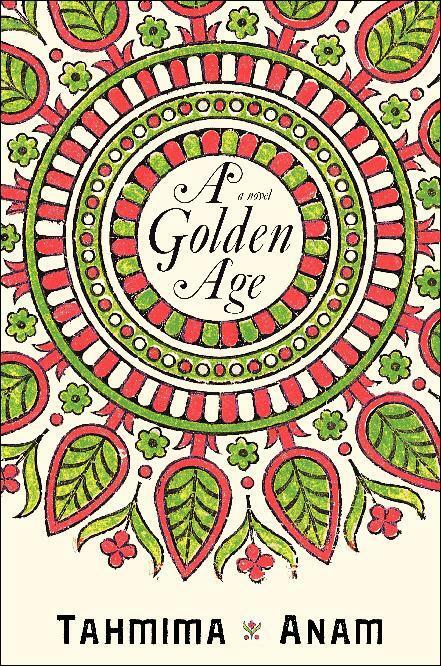 A Golden Age begins in March 1959, with the newly widowed young Rehana having her children taken from her by her childless brother-in-law in East Pakistan. As a reader, I found Rehana’s passivity and inability to fight back against this injustice quite disturbing, but it is the regret over this passivity earlier in her life that gives Rehana the drive she needs to act as she does in the rest of the novel, set in 1971. A particularly interesting aspect of A Golden Age is the Haque family’s positioning vis-a-vis Pakistan/Bangladesh. Overall in the novel, the West Pakistanis are clearly the bad guys, and the Bangladeshis are depicted as fighting a necessary and noble war. But, Anam inserts a subtle critique of this binary in her characters’ use of language–an ever-present sub-theme in much South Asian literature, where language stands for culture, ethnicity, religion, caste… As Bengalis who spent a large part of their childhood in Lahore–a time that twisted their native tongue into the “peasant Bengali of Bihar”–Sohail and Maya seem to have something to prove to their peers. Rehana, too, more reluctantly adopts the mantle of a Bangladeshi patriot, though she never quite manages to reconcile this with her love of Urdu literature. “The sky over Bengal is empty. No mountains interrupt it; no valleys, no hills, no dimples in the landscape. It is flat, like a swamp, or a river that has nowhere to go. The eye longs for some blister on the horizon, some marker of distance, but finds none. Occasionally there are clouds; often there is rain, but these are only colours: the laundry-white of the cumulus, the black mantle of the monsoon.